I’ve spent countless hours in airports. As you can imagine, the need for sleep often creeps up on a weary traveler, and those airport seats aren’t the most comfortable choice. To solve this problem, Jet Blue has partnered with MetroNaps, to install four new JetNap EnergyPods in JFK Airport. 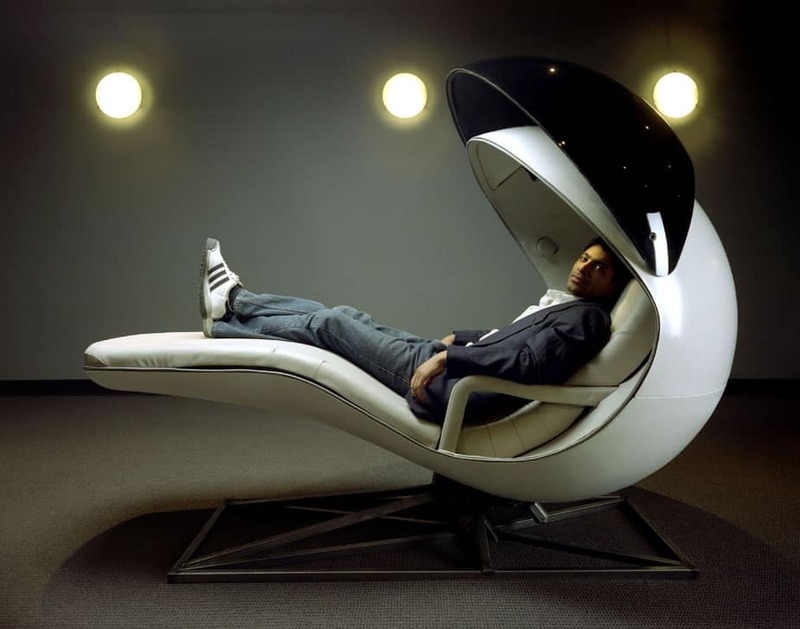 The free 20-minute “JetNap” in one of its new state-of-the-art napping pods are available on a first-come, first-served basis to JetBlue customers. Passengers awaiting flights can relax in an ergonomically perfect, gravity-neutral position that optimizes circulation and encourages a reinvigorating, restful nap. A privacy visor ensures serene seclusion as soothing rhythms from the built-in speakers reduce background noise; nappers can also plug in their own headphones for even more seclusion. The pods feature internal storage bins to secure personal items during naps. When it’s time to wake up, nappers are gently awakened with a combination of lights, music and vibration. While JetBlue is the first U.S. carrier to feature The EnergyPods, MetroNaps has installed pods in Toronto’s Pearson Airport and the Aspire Lounge at London’s Luton Airport.